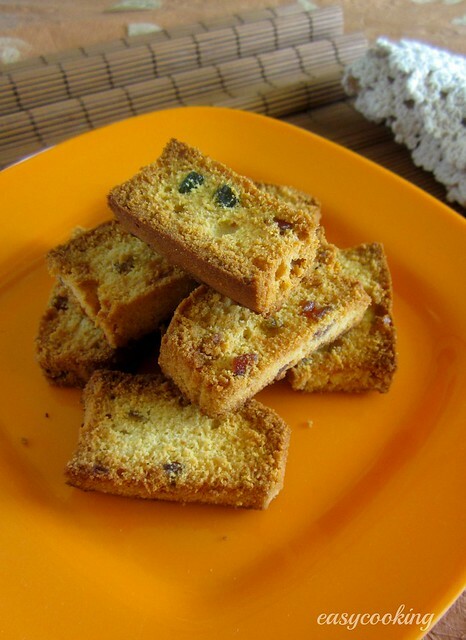 Rusk dipped in sweetened milk was my tea time snack for most part of my school days.I wondered why my friends called it sick-time food.For that matter,even bread-butter was looked upon as food which was had when one was sick,really? Best Bakery had the best rusks those days.Sweet,crisp and crunchy decked with raisins,tutti-frooti and sometimes cashewnuts.Rusk was always bought in bulk since it had a longer shelf life and was an all time favorite for all of us.But as and when we grew up,our interests drifted to better looking snacks,namely cakes,pastries etc. My interest was doubly revived in rusks when my father-in-law introduced me to Warrier Bakery rusk in Bangalore.These were plain sweet rusks but so tasty that I had to get back to my rusk-love.I've always wondered how these were baked and surprised to know how easy it was to make homemade rusk. Preheat oven to 180C.Grease and line an 8' square tin. Sift together flour and baking powder twice.Reserve. Beat together butter and powdered sugar till creamy. 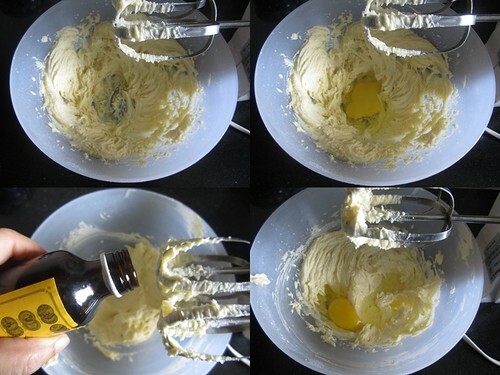 Mix in the eggs one at a time followed by vanilla. Beat in the flour mix and milk alternately beginning and ending with flour. Coat the tutti frooti in 1/2 tbsp of flour and fold into the prepared batter. Pour the batter into the prepared cake tin and bake for 40-45 minutes or till the cake is golden brown in colour and is firm to the touch. Peel off the baking paper and cut the cake into three vertically.Cut thin slices of the cake and bake again for 20-25 minutes(at 180C) or till golden brown and crispy. Cool and store in air-tight containers.Makes about 30 rusks. 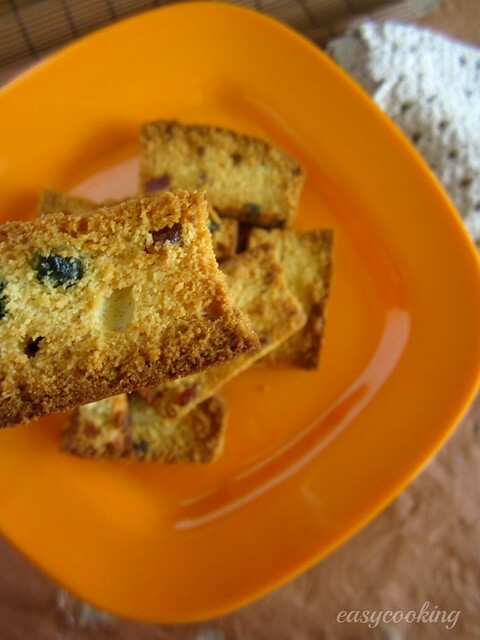 The rusk can be made plain or with any additional ingredients of your choice.I suggest chopped cashewnuts,currants or raisins. 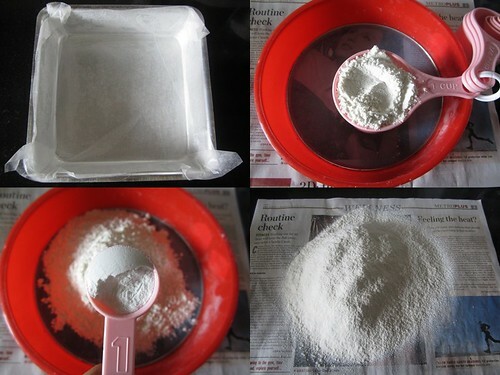 The recipe can be easily doubled for making larger quantities. I baked the rusk for an additional 5 minutes since we like it a bit more crunchy. Every oven is different,so baking times may differ. very yummy! I love the rusk! It is all time my tea time snack.. Loved your tutti-fruti flecked rusk! 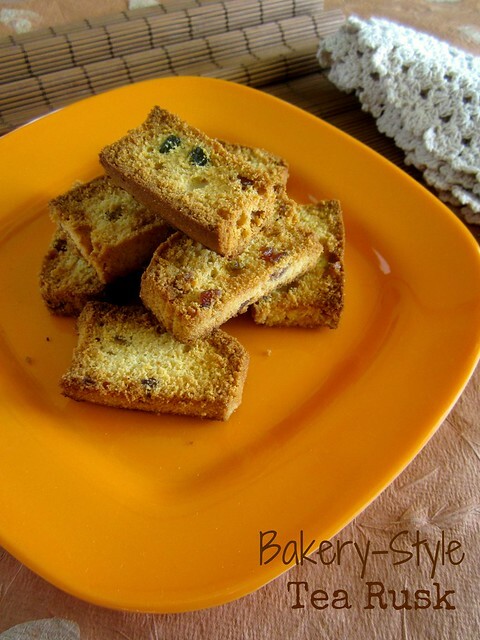 love rusks..have not seen them here..will try baking them now..
Nice recipe :) my dad loves rusks... would like to try this for him. I am a big fan of rusk dunked in tea..I love the taste of milk rusk in bagalore bakeries,even in bombay we get good rusks so never thought of making it at home..but I m surprised 2 see the amount of butter that goes in rusk,now I need 2 think twice to eat rusk on daily basis.. I love rusk - a favourite tea time snack. I actually didn't know that it was prepared this way. Thanks for sharing. 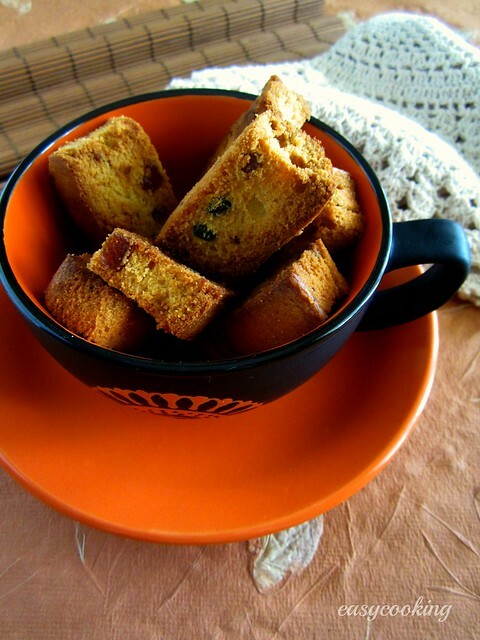 love rusks with evening chai.....this recipe is really nice!.......very nice clicks. Lovely clicks dear..Rusk looks fabulous and perfect. I love tea rusk and making them at home is so motivating...looks very tempting! We love this. 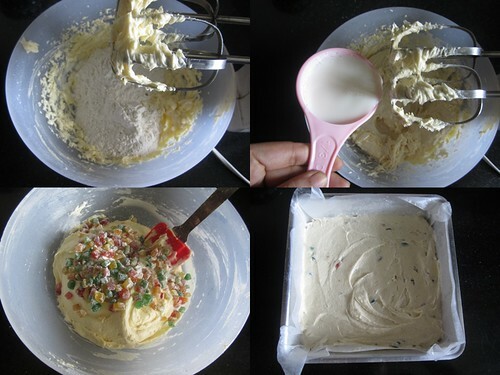 Will try making it. FIL need not know there is egg in it. The smell will be masked for sure. Thanks. mmmm,yummy! I love this, should try this for sure! Divya , your rusks look very tempting.It's childhood revisited. These look amazing. My mom would love this recipe! I love baked rusk a lot. I usually have it with my morning tea. Rusk looks crispy and yummy in the pictures. Thanks for sharing the recipe, I am going to make it soon at home. Now you are making me to even stop buying rusks from the shops...need to try it soon. Oh wow ! these look great ! Warrier bakery was and still is my favourite. When you go there, try the vegetable puff, stuffed buns, masala bread and cream rolls...absolutely fantastic. Hands down to these bakery styled rusks. From one look of it, I can be sure they replicate exactly the same flavours as our neighbouring bakery. Superb attempt and good composition. Looks yummy. 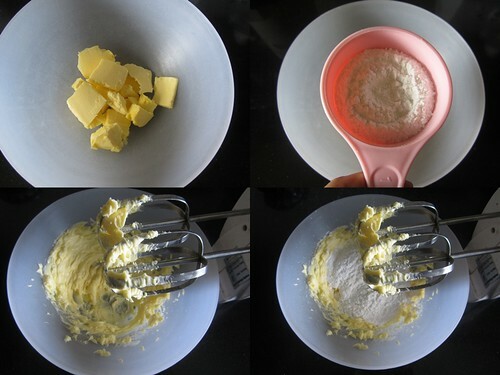 For baking again after cutting, do you just bake it spread as shown in the picture. Yes,just spread the cut rusks evenly on the baking tray and bake! Can we do it eggless plz? Seems interesting. I will definitely try..